Vocalist Ron Dante is the American version of British studio singer Tony Burrows. Though he didn’t duplicate Burrows’ feat of charting hit singles as the lead singer of four different groups in a single year (Edison Lighthouse, White Plains, Pipkins, Brotherhood of Man, all in 1970), Dante’s singing was nearly as ubiquitous. His first brush with fame came with the novelty single “Leader of the Laundromat,” by the Detergents, and he was widely heard singing the famous “you deserve a break today” jingle for McDonald’s. But his biggest score was as the lead singer of the Archies, minting the single-of-the-year (and the national anthem of the bubblegum world), “Sugar, Sugar.” In parallel with the Archies’ ride on the charts, Dante re-teamed with Detergents’ songwriter-producers Paul Vance and Lee Pockriss and cooked up this album under the Cuff Links banner. The Cuff Links were, like Tony Burrows’ “bands,” a studio concoction rather than a working group. Dante provided both lead and brilliantly arranged backing voices, and as on the Archies’ records, went uncredited. Though he recorded a solo album in 1970, his first real claim to named fame came a few years later as the producer of many Barry Manilow hit records, and later as an award-winning Broadway producer. His anonymous work with the Detergents, Archies and Cuff Links has been sporadically anthologized and reissued over the years, focusing mostly on the hit singles; this CD release reintroduces the Cuff Links first album back to the market, adding a handful of singles drawn from the group’s still-unissued second album, and several more bonuses. The two cover songs are given nice twists, with a catchy organ riff and memorable call-and-response vocals on “Put a Little Love in Your Heart,” and an effective Burt Bacharach-styled treatment of Neil Diamond’s “Sweet Caroline.” The songs run deeper than comparable bubblegum tunes written expressly for the pre-teen crowd, but their melodies remain hummable, and the lyrics catchy. Like the music that came out of Don Kirshner’s world, the craft here is superb – just listen how the album’s second single, “When Julie Comes Around,” builds masterfully from a tense organ and drum opening into a perfect mix of electric and acoustic guitars and then builds into a joyous melody in parallel with the lyrics turn from loneliness to happiness; the transitions back and forth between desperation and elation are handled just as perfectly as the song finally plays itself out with a smile. All or Nothing 1965-1968 is one of four documentaries released as part of a five-DVD British Invasion box set by Reelin’ in the Years Productions. It is a spectacular collection of footage that spans twenty-seven complete vintage performances, interviews with the principle band members reflecting on their time as seminal mod and psychedelic rockers, and superb vintage clips of the band creating in the studio, shopping on Carnaby Street and gigging at iconic clubs like the Marquee. 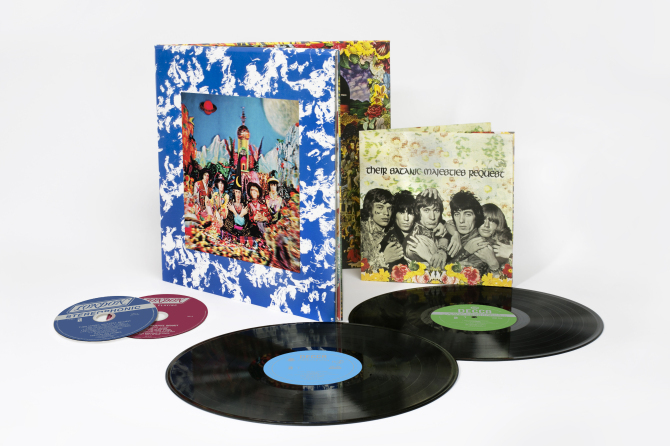 The producers have performed miracles in digging up rare television and film footage, and archival interviews with Steve Marriott (from 1985) and Ronnie Lane (from 1988, his last filmed appearance) are complemented by contemporary interviews with Kenney Jones and Ian McLagan. Though the Small Faces had only one chart hit in the U.S. (1968’s “Itchycoo Park”), their fame in the UK and Europe, not to mention their style, sound and musicianship, were in league with the Who and Stones. The band members post-Small Faces gigs brought a greater helping of stateside fame (Marriott with Humble Pie; Lane, McLagan and Jones with the Faces; and Jones with the latter-day Who), but this 101-minute documentary shows the Small Faces were a group to be reckoned with. Marriott was a ferocious front-man with an aggressive vocal delivery, hot guitar licks and a songwriting partnership with Ronnie Lane that matured from derivative R&B to original tunes that wove pop, rock and psych influences into their bedrock soul. The interviews trace the group’s original influences, the pop sides forced upon them, and the turning points at which they made artistic leaps forward. Among the biggest events in the Small Faces’ development was a change in management and label from Don Arden and Decca to Andrew Loog Oldham and Immediate. The mod sounds and styles of their early singles quickly became psychedelic, but not before launching their new phase with the 1967 ode to methadrine, “Here Comes the Nice.” Their hair and fashions in the accompanying television performance find the band in transition between the dandy style of the mods and the floral and flowing elements of the hippie revolution. The influence of LSD can be heard in “Green Shadows” and the band’s U.S. breakthrough, “Itchycoo Park,” which McLagan suggests was a rebuttal to England’s formal system of higher education. The group’s pièce de résistance, Ogden’s Nut Gone Flake, is essayed here with a lip-synched clip of the title tune and a seven-song live-sung (but not played) set from the BBC’s Colour Me Pop. Rufus Wainwright: Milwaukee at Last!!! 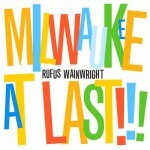 Posted in CD Review | Comments Off on Rufus Wainwright: Milwaukee at Last!! !